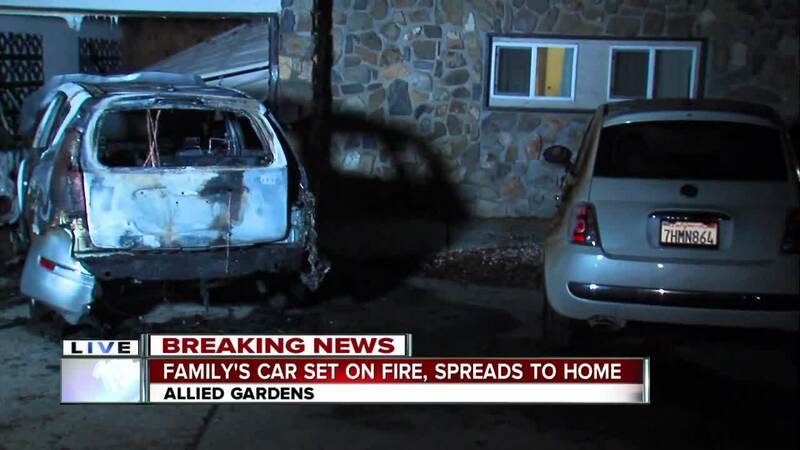 SAN DIEGO (KGTV) - A woman was arrested early Tuesday morning on suspicion of starting a fire that engulfed a car and then spread to an Allied Gardens home. Patrol officers arrested Evette Amparano, 45, near the home on Galewood Street, near Waring Road. Firefighters were called to the home just before 4 a.m. after reports of a car on fire in front of a house. The homeowner called 911 to report seeing a woman sitting inside his car and lighting a fire inside it. While still on the phone with dispatchers, the homeowner confronted the woman and tried to get her from leaving the scene. However, the car exploded, forcing the homeowner to help his wife, their child and pets to get out of their house. “Everbody’s safe, that’s all that matters. Who knows, maybe this woman is in a position to get the help she needs. I’m so thankful that I came to speak to her when I did because if it had been five minutes later, I would have woken up to my house completely on fire,” the homeowner said. The total property damage was estimated at $40,000. 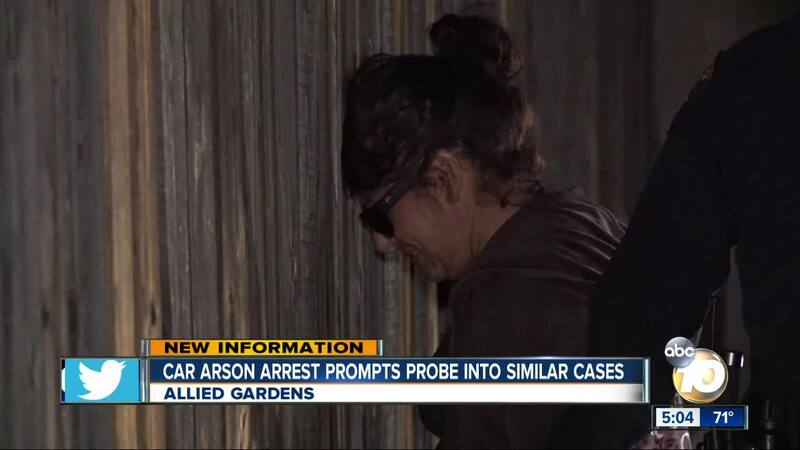 Amparano was arrested at the scene on suspicion of arson. She is also accused of starting a fire on a boat parked at a home nearby. At a different home, a rag was discovered sticking out of the gas tank of car. The fiery scenes are similar to car arsons in driveways in Santee that 10news reported on back in May. 10news reached out to sheriff's investigators, who say there is no evidence of a link but are looking into a possible connection. Investigators say Amparano, believed to be homeless, is not being cooperative. A motive remains unknown.